Places Visited: Antigua Guatemala, Chichicastenango,Iximché, Lake Atitlán, Copán, Quiriguá, Yaxhá, Tikal and Guatemala City. Mayan Prophecies Tour is part of GA´s Best Sellers and Mayan Ruins Tour Packages. We have chosen the most special Mayan Ruins in Guatemala and Honduras, where our guide will show and explain the meaning of this date and importance of the Mayas and their history and rich culture. You will visit the premium destinations of Guatemala and Honduras, including the Western Highlands, Tikal , Antigua Guatemala and Copán. It is specially designed for all ages where you will enjoy different types of activities like exploring the Mayan pyramids including Mayan ceremonies in the middle of a virgin jungle. 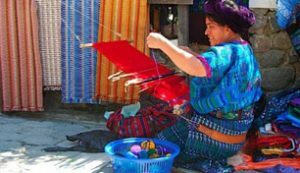 Getting to an untouched colonial city like you were travelling through time and enjoying the preparation of your own handicraft. Experiencing a Mayan Ceremony and the explanation of your own Nahual in a Mayan Site. Doing some shopping of original handcrafts in the colorful open market in Chichicastenango. Reception at the airport “La Aurora”. 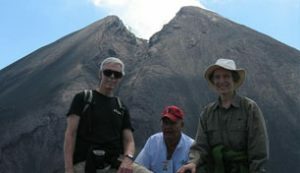 Transfer to your hotel in Antigua Guatemala. Welcome dinner included with a Folkloric Dance and Food. After breakfast you will visit to the most important and significant attractions of the city, including Antigua’s most beautiful churches, monasteries, convents, and the cultural center. Antigua is among the world’s best conserved colonial cities. It is a magical and captivating small town that will make you feel time stopped some 300 years ago. From its colonial architecture to its beautiful surroundings; strolling through town on the cobbled streets, you will experience the splendors of ancient times. Also you will have the opportunity to be able to enjoy making a handicraft, traditional of Guatemala. In the afternoon visit one of the oldest coffee plantations in Guatemala. During this tour you will have the opportunity to discover how coffee is made. Our guide will show the whole process since the beans are picked up in the plantation until it is served as one of the best coffees in the world. This will be a very interesting experience that will teach you all the hard work that takes to make a cup of coffee and the people who are involved. Visit to the archaeological site of Iximché, also known as “The Land of Corn”. This city was the first capital of Guatemala and the last Mayan City. Experience for yourself a place fulfilled with mysticism, being the city that witnessed the Conquer of the Spanish and a place for Mayan rituals. Here, the group will get an explanation about each other’s Nawal according to the Mayan Calendar and a little gift to remember. After the visit you’ll be transferred to Chichicastenango’s market, the most colorful and exciting place in the Mayan Highlands and the only place in Guatemala of 100% Quiché population. Admire the historical and mystic Church of Santo Tomás, where the Mayan bible was discovered. Be the witness of Mayan ceremonies inside the church, where you can presence their gifts to the Mayan God’s. Transfer to Panajachel for overnight accommodations. Visit to Lake Atitlán, one of the most beautiful lakes in the world. The word “Atitlán” is a Mayan word that translates as “the place where the rainbow gets its colors”. Panajachel is an 800 year old town of about 14000 people, mostly Kaqchikel Mayas and some foreigners from every corner of the globe, living inside that rainbow. Upon arrival discover the magic that surrounds all its greatness while taking a boat to cross the Lake and visit two different Tzutuhil Villages. Visit a small town around the lake, where you’ll be able experience the Mayan culture to the purest. Then transfer to Santiago where you will visit the confraternity of the local saint named Maximon or Ri Laj Mam, visited by different people of different ethnicities who come to ask health and prosperity in their lives. Whether you believe in it or not, make sure to enjoy this magical experience. Transfer back to Panajachel by boat to have lunch. Transfer to your hotel in Guatemala City. Located in Honduras, near the border of Guatemala, ground transfer to the village of Copán that is a quiet, peaceful place that is best known its artistic ruins. 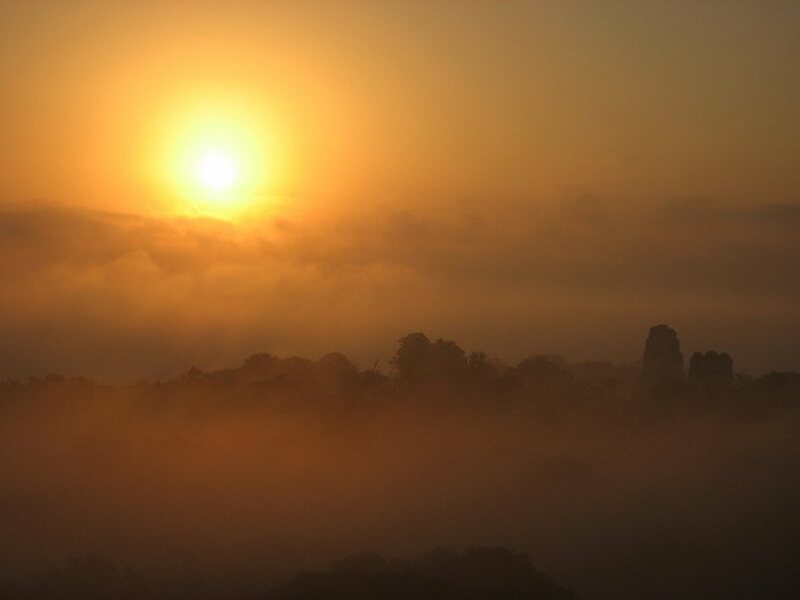 Copán is a tranquil oasis of ancient culture and sublime nature nestled in the foothills of western Honduras. Our tour begins with a visit to the Mayan site of Copán or the “Kingdom of the Sun”, that dates from the Maya Classic period (300 to 900 AD) where can still be seen several stone sculptures, specially dedicated to the ruler “18 Rabbits”who was beheaded in Quiriguá Guatemala One of the most impressive characteristics are its well preserved structures and paintings that still can be found. Overnight accommodations in Copán. 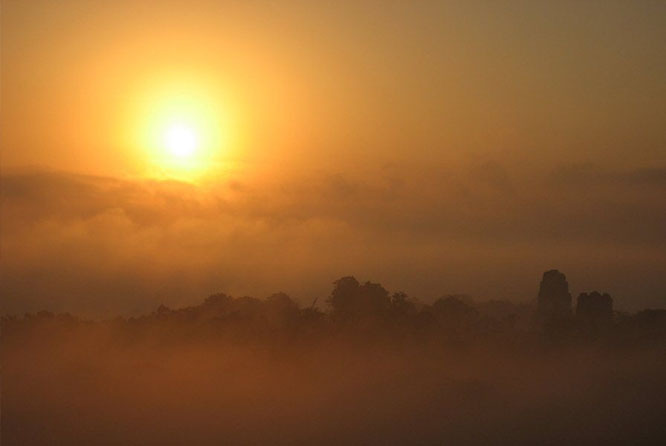 Visit to the archaeological site of Quiriguá known for the tallest stelae in the Mayan World. The name “Quiriguá” is modern and taken from the name of a nearby town. This site is best known for the excellent stelae and zoomorphs found here. It is very important to show Stela “C” which talks about the start of the fifth Maya cycle that began some 3,000 years before Christ until December 21st 2012. The end of the Mayan Calendar gives emphasis to the Maya civilization and the world. When finished transfer to Rio Dulce for overnight accommodations. Transfer to Yaxhá, a former ceremonial center and city of the Pre-Columbian Maya Civilization. The facilities have evidence of Teotihuacan influence in their architecture and stelae. We can find the only twin pyramid complex outside of Tikal, also known as the Stelae Plaza. During this visit you will enjoy the wildlife, jungle and mystic surroundings of this unique area, also a Mayan Ceremony to actually experience the essence of the Mayan Culture. When finished transfer to your hotel in Flores. Please call us at: +502- 2410-8260 and provide us the following reference name: 2014 Mayan Prophecies Tour – The End of the Mayan Calendar, or you can fill out the form below and we’ll get back to you whithin 24 hours.